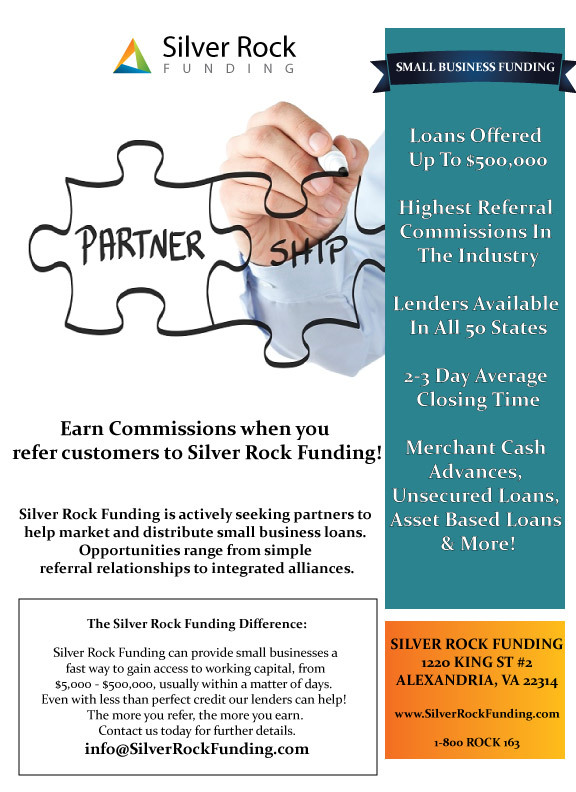 Thank you for your interest in partnering with Silver Rock Funding. We work with a variety of hand-picked partners based on industry experience and reputation. We offer our partners among the highest conversion rates and revenue share terms in the industry.